The Sunnybank and District Band Inc. is a relatively new band originally formed by Kevern Roy Turner. Kevern and his family moved from the rural township of St. George in Western Queensland leaving behind the brass band he established there. Banding was in the blood of the Turner family as his father formed the first Police Boys Band (N.S.W.) in 1939 and Kevern's brothers played with the Tamworth City Band. All five brothers played with other bands across Australia and also conducted and formed a number of bands in their day. On arriving in Sunnybank, a rural suburb of Brisbane in 1963, Kevern set about gathering a small number of interested bandsmen and recruited youngsters to practise in Kev's gymnasium located in the backyard of their Gager St. family home. Instruments were obtained following the disbanding of the St. George Band and an assortment was received from sources in Tamworth. Practising twice a week, it wasn't long before the band began playing for engagements and competing at local contests in Rathdowney, Redcliffe and Nambour. The local Barber from St. George had set a foundation during the 1960's that assured the success and future of the Sunnybank Brass Band. Numerous musical directors have since carried the baton after Kevern retired from conducting in 1974. The 1970's saw Sunnybank & District Brass Band grow and establish itself as a contesting band for the first time. Con Lees, a retired professional musician from the era of stage shows and musicals, took on the musical directorship of the band and began to instil some of the musical techniques required to contest in State Championships. He conducted the band at many Nambour Contests and Beenleigh Contests which were held annually then in October and June respectively. One memorable performance at Nambour was the "Whistler and His Dog" where Con had organised a small dog on a lead to walk across the front of the stage while the band was playing. Unfortunately, this caused much upset with the contest organising committee and the band was severely reprimanded for having animals in the hall! time to the Sunnybank Scout Hut. Ill health led to the sad resignation of Mr Con Lees and a newcomer from America, Alan Beste, took on the conducting role. Alan was a music teacher at one of the local private schools and had set the goal of preparing Sunnybank for its first attempt at a National Championships. He achieved this goal and Sunnybank had its inaugural performance at the Australasian Band Championships (as they were called then) on the Gold Coast over Easter 1976. The band didn't perform that well but it gave them the incentive to work towards the next contest. Sunnybank & District Brass Band was very much a family orientated band with the Smith family comprising of five boys aged from 19 to 9 being one of the mainstays of the band. The band also had the Heffernan family (2), Kuhl family (3), McDonald family (2), Meneely family (3) and the Troy family (2). the finest Musical Director's encountered in its short history. An ex-Salvationist, Graham Cox, took up the challenge to mold this young band and he did exactly that. Many of the famous Salvation hymns and tests were played and the band grew dramatically in numbers over the next couple of years, attracting very capable players to its ranks. Sunnybank competed in their first State Championships in Gladstone in 1977 under Graham Cox and were crowned D Grade State Champions having won three of the four events. Traveling up to Gladstone on a Fokker Friendship was the first of many trips to contests for the band. The band and its hard working committee, headed by Doug Meneely, decided to travel to Melbourne for the Nationals in 1978. This was also the era when Sunnybank & District became known for its excellence in marching and drill. Under the leadership of Glen Beutel - an army reservist - the band put in many long hard hours preparing for the Own Choice Diagram event in Melbourne. Glen was quite a hard taskmaster and the band was very precise and disciplined by the time they competed. Sunnybank competed as C Grade in Melbourne and came mid-field, a testimony to Graham's hard work. But our biggest achievement was being beaten by only one point in the Own Choice Display March which was an open event for all grades.Our marching culture had begun! the talent that was starting to develop. In 1979, the band competed at the State Championships held in Beenleigh. Graham had once again prepared the band well and we took out the C Grade State Championship. Sunnybank had risen from D Grade to C Grade State Champions over the short period of two years. The Sunnybank Junior Band was formed later that year and was to become one of the best Junior bands in all of Queensland for the next 8 to 10 years. Outgrowing the Scout Hut the band relocated to the local Lions Hall to practice and began competing in B Grade under the baton of Brian Douglas in the early eighties. The Sunnybank Brass Junior Band was formed in the late 70's as the B Grade band comprised of many players under the age of 19. The formation of the Junior Band - the only Junior Band in Queensland at that time - proved to be the start of a long and successful mission on the part of Sunnybank Brass to foster young brass musicians. Both bands travelled to Townsville in 1982 to compete in the National Championships with the B Grade band coming second in their grade. The Sunnybank Brass Junior Band went from strength to strength and won the State Junior Championships over a five year period, firstly led by Brian and then later by Michael Golding. The No.1 Band's most notable achievement - Aggregate B Grade Champions at the Australian Nationals in 1984 held in Nambour. This was also under the direction of Michael Golding. The next Musical Director and former member of the Coldstream Guards, Stuart Fawcett OAM, led the band to win B Grade at the State titles held in Warwick in 1986 and he continued with the band until returning to his homeland in 1989. This decade proved to be a very lucrative one for Sunnybank Brass with the sponsorship of both its Senior and Junior bands by large business corporations - namely Castlemaine Perkins (XXXX) and Seaworld in 1985.
profile functions such as the State of Origin Rugby League games, openings of attractions at Seaworld and television commercials. The bands gained quite a deal of notoriety when they performed in these colourful uniforms at State Championship marching events. Marching became one of Sunnybank's notable talents during this decade under the instruction of Drum Major, Trevor Fitzgerald. Trevor had been trained in the Marching Girls Association and he bought this expertise for own choice diagram marching to our competition events. The reputation of Sunnybank Brass as a formidable marching opponent grew and to this day they are still regarded as one of the best in Street Parade drill. Several other conductors assisted the band through tougher times and a shift to temporary practice facilities during the early 90's at the Sunnybank High School saw the band regrade to C Grade to begin the rebuilding process. 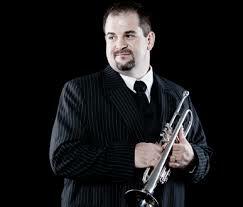 Rod Collins - a member of the Salvation Army Auxiliary band - took over the position of Musical Director of both bands. Many families, who were to have long associations with Sunnybank Brass, joined during this rebuilding era- the Hewson family, the Lawrence family, the Biggs family and the Laing family. Rockhampton in 1998 where the band won the title of C Grade Champions of Queensland. The Junior band was now under the musical leadership of Kate Golding but due to study commitments, Kate was replaced with Corey Clarke in 1999. The Junior Band was now regraded to D Grade as it was no longer viable to keep the membership to less than 19 years of age. Coast in 1999 saw both bands performing in open grades and under the marching direction of Drum Major, Steve Lawrence. This decade saw the band start to rebuild in a practical sense when a 'new' hall was acquired, a home for our future. It began with the purchase of a used relocatable hall and an offer to lease a block of land in DM Henderson Park Macgregor, from the Brisbane City Council. The driving force behind this much needed acquisition came from one of the band members - Robin Stubbs. The band's Patron, Councillor Graham Quirk, was of great assistance in obtaining the lease of the land. The start of the new millenium saw a dynamic and energetic era begin. Brian Douglas contined his second term at the helm of band 1 continuing the success of the band at contest level Brian's musical knowledge, committment and excellence for these next few years was to be a lasting legacy as he sadly passed away in 2004. Tony Lashmar was appointed MD of band 2 in 2001 and successfully took the band from D grade to C grade by 2004. This era was also the beginning of a new identity for the band with the purchase of new uniforms in a unique vivid blue designed in the dinner style for band 1 and waistcoats for band 2, mostly the work of member Mike Argentino. A success story for Sunnybank Brass youth development was the emergence of Kirsty Biggs a prolific winner of Cornet Solo competitions during her younger years. As a Sunnybank junior Kirsty moved steadily through the ranks and became the B grade band's principal cornet while still in her teenage years. A added highlight for her was an invitation to play with the US III Marine Expeditionary Force Band in Okinawa, Japan so impressed was the bands MD of Kirsty's performances. Kirsty continued her banding career as an outstanding musician becoming the principal cornet with National A Grade Champion Band, Brisbane Excelsior. Development of the youth program at Sunnybank Brass continued on and became the focus of Cathy Reid when she joined as band 2 MD in 2008. She devoted her talents to recruitment of new players and running very successful music workshops each year. In addition she rejuvinated the organisations annual solo competion event encouraging all comers to participate.. The outcome of her efforts lead to the establishment of a third band and as well as a learners group. that continued to thrive into the next decade..